Because we can, let's leave Roosevelt Island for a moment and take a virtual trip to San Francisco. Since they don't have the Tram, ride a cable car with Tony Bennett. Time to come home now. You Tube link to plane ride is here. You Tube link to cable car ride is here. You Tube link to Fisherman's Wharf is here. 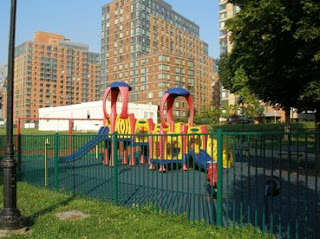 Roosevelt Island’s most popular playground does not have swings, it’s smaller than all the other playgrounds and because it has two non-gated exits parents or caregivers need to watch their child a little closer to make sure they don’t run out of it. Which playground am I talking about? The Grandpa Al Lewis Playground. ...The equipment by Game-Time includes a spiral slide, a double slide suited for younger children, as well as a number of features that encourage climbing. There is a wheel that has fascinated most of the kids I have seen encounter it where they all want to push pine needled into the wheels cavity which I am sure the manufacturer did not expect or plan for. ...The kids love this playground and on a Saturday morning or after school when there is no snow on the ground it’s rare that no kids are hanging around. Riverwalk - Best for Toddlers - The only park with swings (2 baby, 2 standard) - Also best park for toddler digging area by the trees. Four adult benches. View of Keyspan not too inviting but great view of 59th Street Bridge. He has more including slide show of playgrounds and videos. The pilot of the plane who took this amazing video of a flight up and down the East River corridor sent these images as well. 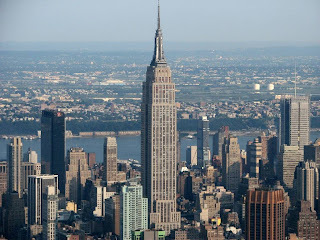 Take a look at more of his photos including the United Nations, Battery Park, Midtown Manhattan and a neat slide show of Manhattan aerial photos here. 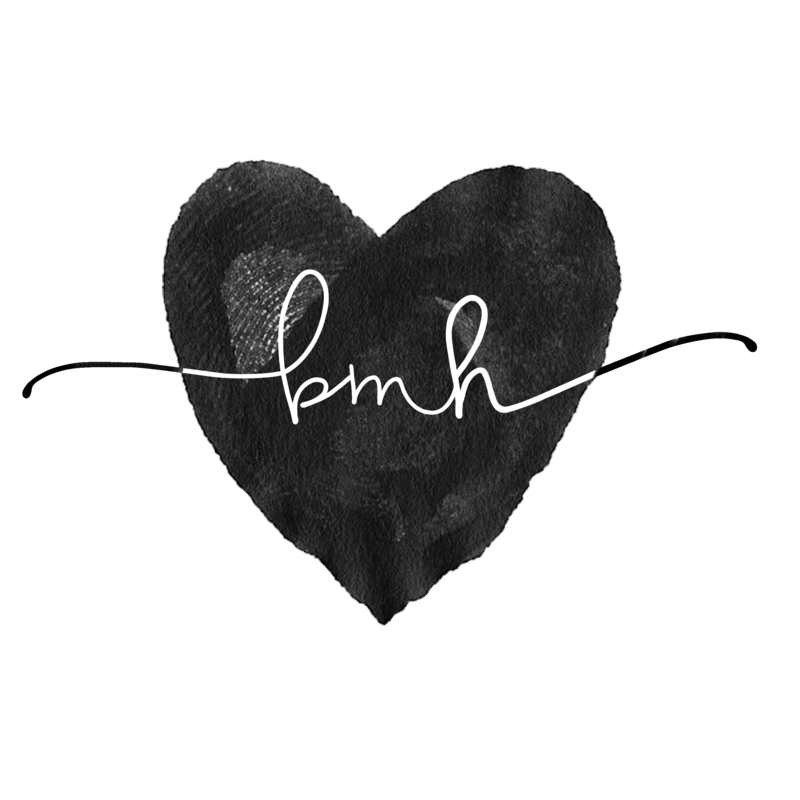 Don't forget to check out the video - it is really worth seeing. It is this week's Roosevelt Island Weekend Watefront Music Video winner. The Neil Diamond soundtrack was pretty good as well. How to Impress the Ladies - Take Them to Roosevelt Island? Blogger Attention Span of a Fly offers advice to guys on how to get a date and keep her interested. She says the best date she ever had took her to Roosevelt Island. Once you're on a date, don't do something boring. The best date I ever had took me first to Roosevelt Island, then to a Tapas restaurant. It was clever, unique, and allowed us to share our meal. How about that! Roosevelt Island is a good place to take a date. Image is from Time Out New York Dating guide. Is the fight to make Roosevelt Island's Southpoint Park a true waterfront park with clear, unobstructed East River and Manhattan/Queens skyline views as well developing as much green parkland as the location permits a "lost cause" like that described by Jimmy Stewart in Frank Capra's classic movie, Mr. Smith Goes to Washington. Is the fix in for the crypt like, concrete mausoleum designed by Louis Kahn as a memorial for FDR but which everyone knows is in reality a memorial for the famous architect by his supporters? Maybe not! The public is starting to assert itself in opposition to the Louis Kahn structure that some seek to impose at the site of Roosevelt Island's future waterfront Southpoint Park. The president of the Roosevelt Island Resident's Association sent a letter to those elected officials currently supporting the project (Council Member Lappin, Assembly Member Kellner, Congresswomen Maloney, Borough President Stringer) expressing his personal opposition, and in my opinion the views of most Roosevelt Island residents, to the Kahn project. Excerpts of the letter were posted as comments (#75) to this article from the NY Times City Room blog and posted here in full. • RIRA has not voted in favor or against the Kahn Memorial. • I have been opposed to this use of the southernmost three acres of Southpoint Park for the better part of a decade. My neighbors have clearly indicated that they want the greenest, least formal park that can be built; these three acres combine “pollarded” linden trees, a manicured lawn, and a concrete and stone “mausoleum” at the southern tip of the Island that is 180° opposite of this goal. No variations in the Kahn plan may be permitted and it is not at all clear that Louis Kahn, who died thirty-three years ago, would still approve this plan for the twenty-first century. • The survey taken by the Trust for Public Land and made public in October 2004 found that most users of the park favored the least “built up” of the three conceptual plans, the Wild Gardens/Green Rooms plan, and specifically that, “The Roosevelt Memorial had some supporters but mostly detractors; people saw it as too much concrete.” The only design item that was more highly repudiated was a “commercial crescent” to be imposed on the park. While this survey has been criticized as being flawed (not enough park users queried), it is the only survey commissioned by RIOC so far, and for elected officials to support this project without the endorsement of the “end users” of the park seems premature. • RIOC has stated that, if FERI (Franklin and Eleanor Roosevelt Institute) has not raised the $40 million required for the project (and for which they have had 33 years to raise the funds) by the end of this year the project would be scrapped. My last report was that just over $5 million has been raised. Whether RIOC will stand by their self-imposed deadline remains to be seen. • When I spoke to NYC Parks Commissioner, Adrian Benape, at the commissioning of the Manhattan Tram Plaza, his take on the project was that the architectural community would show up for the ribbon cutting and never be seen again. Parks should be built for the people who will use them. Some proponents of the Kahn Memorial believe that its construction will prevent anything else (residential? commercial?) from being built on this land and this is certainly a cause for concern. I believe that the powers that be—RIOC, DHCR, City Council, State legislature—by raising $12.9 million have insured that these thirteen acres will be park land and nothing but park land. The decisions we make now will be preserved at Southpoint for 50 years, 100 years, and we should build what we think is best not what is most expedient. YES, we should build a memorial to FDR, but not a memorial to architect Louis Kahn and not this memorial. If the TPL survey is not credible then RIOC should commission another to take the temperature of this community and of other users of Southpoint Park. But to endorse the Kahn Memorial (and it is Kahn, not Roosevelt who is being memorialized by this design plan) without the support of those who will use this park, regardless of what money has been raised thus far, is irresponsible. You Tube video link from Mr. Smith Goes to Washington is here. As I dug my carbon-fiber paddle into the chaotic dark water, waves crashed over the bow of my yellow surf ski. My upper back winced and my hands throbbed from fighting a honking west wind and whopping wakes from the Staten Island Ferry. Lady Liberty glistened in the distance. Hell Gate was nearby and I was petrified. Last year’s swells were reportedly “huge.” Eleanor Roosevelt had said, “Do one thing every day that scares you.” This would surely fill my quota. The water turned turbulent as I passed Mill Rock, and my heart thumped with anticipation. But it calmed just as quickly. 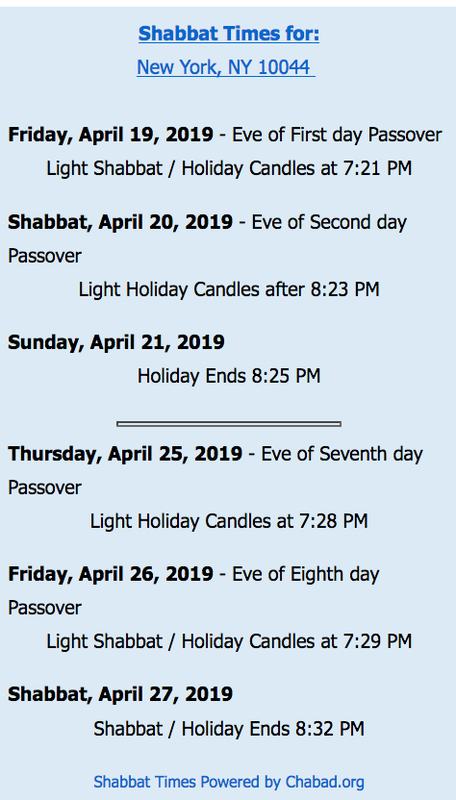 Hell Gate was a dud this year. No complaints here. Cheering people lined railings along Battery Park City. I felt like a fish in a fishbowl. Their encouragement energized me, but I feared tipping if I showed gratitude. What could be deemed the longest mile finally ended as I took my last dozen strokes into the marina, clocking 4:50:18. Now it was I who was cheering. Dragging my stiff, waterlogged body onto the pier, I felt elated and a little extra love for New York City. Video is not from the race. It is of the East River currents adjacent to Roosevelt Island. 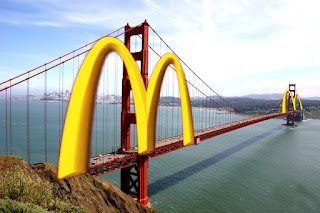 Golden Arches for the Roosevelt Island Tram Too? An earlier post reported on a plan to alleviate a portion of the San Francisco Golden Gate Bridge's projected $80 million operating deficit in the next 5 years with funds generated from corporate advertising sponsorships. I speculated that given the costs associated with the operation, continued maintenance, and future $20- 25 million repair of the Roosevelt Island Tram, the temptation must be great to find alternative additional revenue sources such as corporate sponsorships or advertising. What does this mean for potential corporate sponsorship of the Roosevelt Island Tram? Is the lesson learned from the rejection of sponsorships for the Golden Gate Bridge that any hint of "commercializing" a public iconic symbol with "crass" advertising is wrong or is that the revenue to be gotten for such "crassness" must be sufficiently large to overcome the ick factor? Happy Halloween from Roosevelt Island - A Way Station Between This World and the Next? 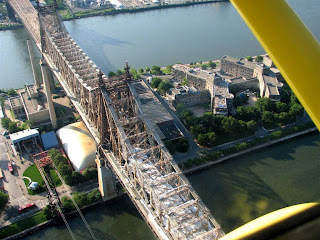 Via Roosevelt Island 360. More Halloween from Roosevelt Island 360 here. “The Tap Dance Kid,” a 1983 Broadway musical about a Roosevelt Island family’s dancing ambitions, features a ghost, in the form of a deceased grandfather who pays an encouraging visit to his grandson during the night. Assembly Member Micah Kellner sends the following notice announcing the availability of Free Flu shots for Roosevelt Island seniors. Good job by Kellner. How about a similar program of free flu shots for children and anyone else at risk? Flu shots are limited and appointments are necessary. 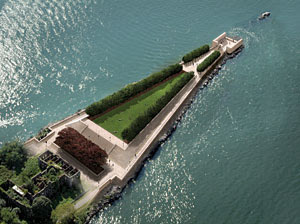 ...the memorial would “attract people who would otherwise not be interested in Roosevelt Island, because of the F.D.R. piece and the Kahn piece.” But she said there was an even more compelling reason to build it. “There should be a memorial to F.D.R. in New York,” she said. Besides the F.D.R. Drive. More from 2003 NY Times article about the Hunter College Sara Delano Roosevelt House which is a far more appropriate venue for a FDR memorial than Southpoint Park. Recent years have been less kind. For want of money, the Roosevelts' house on East 65th Street, later a Hunter College student center, has been sitting empty since 1992 -- ceilings leaking, woodwork moldering, plaster crumbling -- while its remarkable history has dwindled almost to a whisper. Now, hoping to restore the building's architectural luster and its place in civic affairs, the City University of New York plans to spend $15 million to renovate it as the home of a public policy institute concerned with social and humanitarian issues -- ''the domestic version of the Council on Foreign Relations,'' said Jennifer J. Raab, the president of Hunter. Just shy of the half-century mark, the student center was closed in 1992. The building was acquired in 1997 by the Hunter College Foundation, a private nonprofit corporation, which cobbled together $1.6 million in pledges for restoration, far short of what was required. ''It's very difficult to raise private money for the guts of a renovation: plumbing, new roofs, all the systems that need to be repaired,'' Ms. Raab said. ''That's why I made the decision to bring it back into the public fold.'' The property was transferred to City University ownership in December, she said, enabling it to qualify for state financing. In 2006 Assembly member Jonathan Bing secured a $1 million grant to renovate the Roosevelt House. The $1 million grant to renovate Roosevelt House adds to The Hunter College Foundation’s $6 million campaign to renovate and technologically upgrade the currently closed facility and establish an endowment to support scholar programs named for the first family. The renovation itself costs $4.5 million, with more than half already raised. 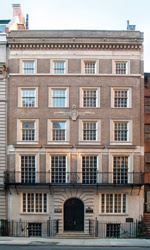 Roosevelt House, once the home of President Franklin Delano Roosevelt, his wife Eleanor, and his mother Sara, has been part of Hunter since 1943, when Eleanor Roosevelt formally dedicated the home as a center for students from Hunter’s nearby campus at 68th Street and Lexington Avenue. Listed on the National Register of Historic Places, the 1908 English Georgian double town house was designed by architect Charles Platt and commissioned by Sara Delano Roosevelt as a Christmas present for her son and daughter-in-law. Roosevelt planned his first campaign in the residence and also recovered from polio in 1921 in its fourth floor bedroom. I guess there are ways to honor President Roosevelt in New York City without the Louis Kahn memorial at Southpoint Park. Ms. Lappin, will you and your colleagues, Assembly Member Kellner, City Council President Quinn and Congresswomen Maloney now withdraw your support for the Louis Kahn memorial and utilize your efforts and skills to honor FDR by assisting in the renovation of the Hunter College Sara Delano Roosevelt House as well as assist in building a whole and complete waterfront park at Southpoint? 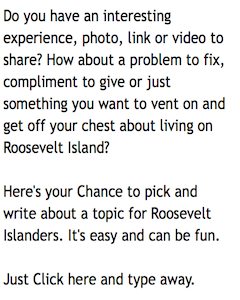 I am sure Roosevelt Islanders would be thrilled to name a new waterfront park after President Roosevelt. Together with the renovation of Sara Delano Roosevelt House, a true waterfront park would be a much more fitting and appropriate FDR memorial at Roosevelt Island than the current plan to memorialize Louis Kahn at Southpoint Park. Image is of the Sara Delano Roosevelt House, Hunter College from CUNY. Can Hipsters Help Save Roosevelt Island's Southpoint Park? With the River to River Festival, Central Park Summerstage, and the McCarren Park Pool Parties all started (or starting) this month, New York City certainly isn’t lacking for means to drag its rock bands up from the dimly lit recesses of the city’s usual venues and out, blinking in confusion at the change of setting, into the summertime sunlight. Or springtime sunlight, at least for another couple days. The distinction actually matters, as last Sunday saw the return one of the most informal, esoteric, and unpredictable of the outdoor show circuit, Todd P’s Springtime Unamplified Accoustic BBQ. 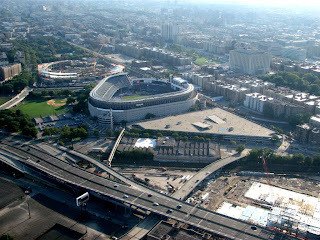 A Roosevelt Island resident who attended the Unamplified Acoustic BBQ writes from the Roman Games blog. when he learned that I live on Roosevelt Island he told me that there was going to be a big hipster BBQ party on that island the very next Sunday! So on that day I packed a bag with some sunscreen and my camera and strolled down to the southern tip of the island. And indeed, there were tons of hipsters down there, having a great hippie style party with a huge line-up of musicians playing acoustic sets. I didn't know anybody and because I had a hang-over once again I didn't have the energy to talk to anybody. Still, I had a great time just listening to music, sunbathing and taking a couple of pictures and videos. Can hipsters help save Roosevelt Island's Southpoint Park from the Louis Kahn memorial? More You Tube video's of Accostic BBQ here. If you think it's tough to get a parking space on Main Street, you are correct. A photographic survey by a RIRA Common Council member reveals that of the 55 designated parking spaces in Northtown, stretching from PS/IS 217 to Rivercross, only 5 to 10 are available on any given day for short-term metered parking. The study found that the remaining 45-50 parking spots, or 87 percent, are occupied - the majority of them without proper permits - by vehicles that sit there for hours, days, even months. Southtown now has 14 muni-parking spots, with two-hour limits, and will have a total of 28 when construction is completed on the remaining five buildings. That's fewer than half the spots available on one typical block in Astoria, and it's for the use of as many people as would fill up to 20 Astoria blocks. The Manhattan Park area has metered long-term parking (up to 6 hours) at River Road and the northern end of Main Street (near Gristedes to the Fire house) as well as the Motorgate Parking facility. parks for months at a stretch in front of Rivercross, unticketed. 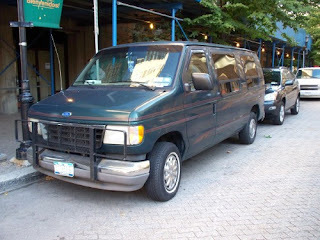 Update - 12/10/08 - Here is some more on Roosevelt Island parking and directions. NYC Politicians Support Louis Kahn Memorial- Can Roosevelt Island Residents Persuade them To Change Postition? Lawmakers breathed new life into an old plan to build a memorial to Franklin Delano Roosevelt on the island that bears his name. "Over 30 years have passed since Louis Kahn designed the memorial. Over 30 years have passed since the island was named for President Roosevelt in anticipation of this memorial,” said City Councilwoman Jessica Lappin. “And yet, unless you count the FDR drive, there is no memorial in this city or state to President Roosevelt." Will the elected officials including Council Member Lappin, City Council President Quinn, Assembly Member Kellner and Representative Maloney who announced their support of the Louis Kahn memorial change their position when confronted by the stated desire of President Roosevelt to have a memorial the size of his desk and not one as large as that designed by Louis Kahn? What about the wishes of Roosevelt Island residents for a Southpoint Park that maintains the current clear, open and unobstructed site line views of the East River waterfront and the Manhattan/Queens skyline? Does that even matter? Apparently not if this plan for the Louis Kahn memorial is allowed to proceed. Perhaps it is more important for these elected officials to curry favor with a select group of architectural aficionados stuck in the 1970's ( see comment #20 to the NY Times article above) than those who live on Roosevelt Island and the stated wishes of President Roosevelt? I hope not. It is abundantly clear that the Louis Kahn memorial will create a huge obstruction blocking the existing Southpoint Park waterfront and skyline views. 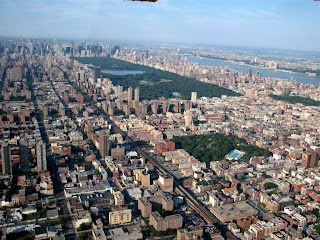 For those who do not live on Roosevelt Island or who have not visited Southpoint Park recently, please picture this. It would be like a memorial placed in Brooklyn Bridge Park that blocks views of the Brooklyn Bridge, Manhattan Skyline and East River. Further, imagine rows of trees placed all around Central Park Lake or the Model Boat Pond blocking views of these magnificent sites from the adjacent paths and nearby benches. How about draining the Central Park Reservoir and putting a monument there? The runners on the Jogging Path will love that, won't they? Not likely to happen is it. Then why should Southpoint Park be treated any differently than Brooklyn Bridge Park or Central Park? The You Tube video shows a portion of the East River and Manhattan Skyline view from Southpoint Park that will be blocked by the Louis Kahn memorial below. Image is from Architectural Record.